Preheat oven to 180°C. Line muffin or mini-muffin pans with paper cases. Sift flour baking powder and baking soda together. Using an electric mixer, beat butter, vanilla and sugar in a small bowl until light and fluffy. Add eggs and beat. Mixture will seprate at this stage. Stir in milk followed by flour, baking powder and baking soda mixture. 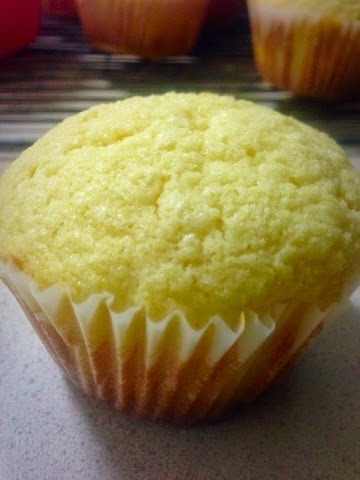 use 2 level tablespoons of mixture for larger cupcakes and 1 for mini cupcakes.